Custom Series Clarinet in A The CX has a full round sound with an immediate clarity to the tone. The Yamaha Professional CX clarinet inset toneless and a silver-plated bell ring, which contributes to the presence and openness of its tone. 66 mm barrel, Grenadilla body, Silver-plated keys, 4CM Custom Mouthpiece, Silver-plated ligature and mouthpiece cap. 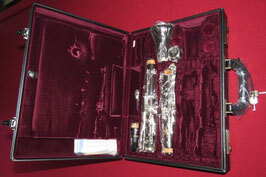 Case - large enough to Store your Bb Clarinet in the Case as well. Features a highly accurate intonation and play consistently in every range at any dynamic. 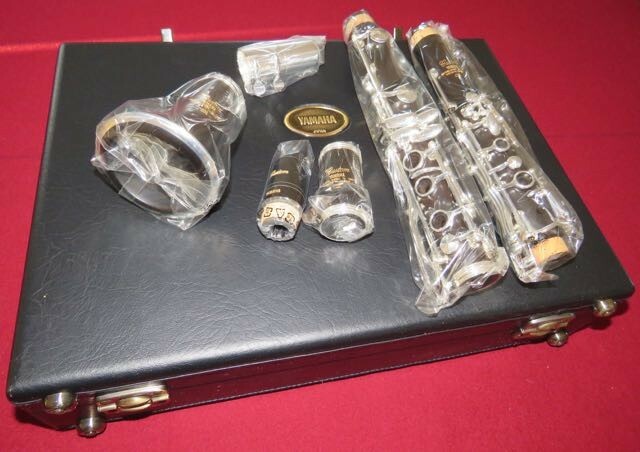 New Clarinet still in original Packaging.